From Wikipedia: Robert's Quartet is a compact galaxy group approximately 160 million light-years away in the constellation Phoenix. It is a family of four very different galaxies in the process of colliding and merging. 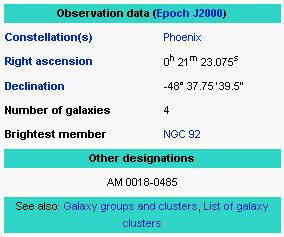 Its members are NGC 87, NGC 88, NGC 89 and NGC 92, discovered by John Herschel in the 1830s. The quartet is one of the finest examples of compact groups of galaxies. Because such groups contain four to eight galaxies in a very small region, they are excellent laboratories for the study of galactic interactions and their effects, in particular on the formation of stars. The quartet has a total visual magnitude of almost 13. 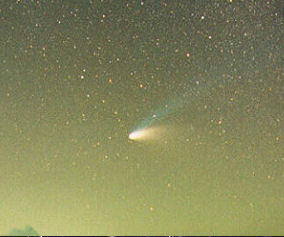 The brightest member of the group has a magnitude of about 14. 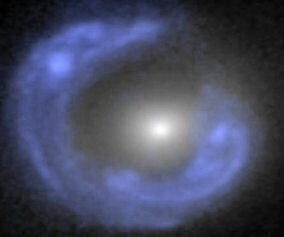 On the sky, the four galaxies are all within a circle of radius of 1.6 arcmin, corresponding to about 75,000 light-years. It was named by Halton Arp and Barry F. Madore, who compiled A Catalogue of Southern Peculiar Galaxies and Associations in 1987. So why the name "Robert's" Quartet you may ask? 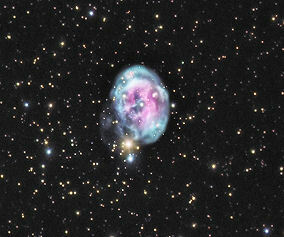 Well, many stellar objects have, over the years, been assigned proper names such as, The Fetus Nebula (NGC 7008) a descriptive analogy, while some are named after individuals of note as in the term "Einstein Ring" for the lensing effect generally predicted by Albert Einstein and still others are named for their discoverer(s) as in the Comet Hale-Bopp - C/1995 O1 which was named for Alan Hale and Tom Bopp whom discovered the comet on July 23, 1995. NGC 87-89 and 92 was known as a "Compact Group since 1977 by J.A. Rose, under the designation Rose 34...also known under the less poetic name of AM 0018-485 from the Catalogue of Southern Peculiar Galaxies and Associations, compiled in 1987 by astronomers Halton "Chip" Arp and Barry Madore." 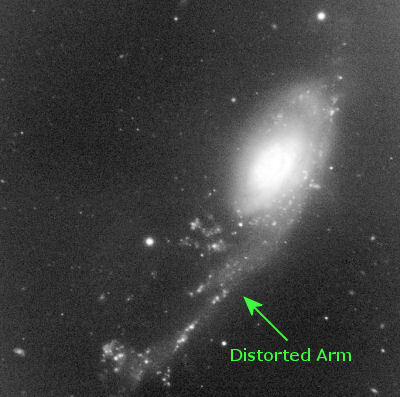 As for the name Robert's Quartet, "Astronomers [Arp and Madore] named Robert's Quartet after Robert Freedman, who helped out with the Catalogue of Southern Peculiar Galaxies and Associations. 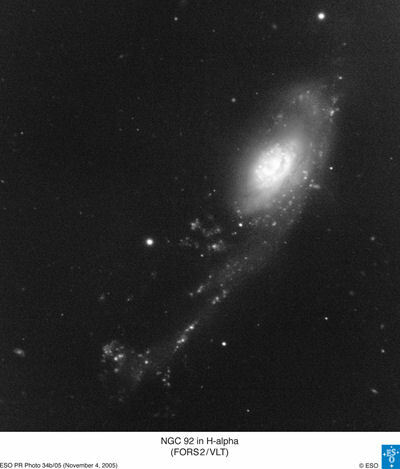 'The astronomers clearly had a very good sense of humor,' the ESO says, 'as the catalog also contains a system of galaxies called Wendy (for Wendy Freedman) and another called the Conjugal Galaxy!' "
Australian astronomer Mike Kerr traced the mystery behind the names. It might help to know that one of the galaxy-naming astronomers was Barry Madore, the husband of astronomer Wendy Freedman. In fact, yet another galactic group is known as "Madore's Monster." Image Credit is the ESO website (European Organisation for Astronomical Research in the Southern Hemsisphere). All other media presented herein is the property of the individual copyright holder. Usage is by permission therefrom or as a result of a "In The Public Domain" and/or "Granted Permission For Use" statement on file from the party or parties, individual or proprietor whom exercises, owns or controls private ownership or use over any item of property or whom holds rights to exercise or grant such permission for the usage of such property on this website. For further details or copyright notices, please visit the originating web site.